"5 Things You Absolutely Must Know Before Buying Your Next Fence or Deck and A Very Special Offer Inside"
We hate spam as much as you do! We will never sell or rent your email address. VEKAdeck is an engineered deck board that meets or exceeds ASTM standards for impact and puncture resistance, provides excellent traction when wet or dry and is thermally reflective to keep you cool under foot. We bring together many of the most sought after brands, models, and options under one roof, making shopping for the right materials a simple and efficient process. We have countless styles from different brands that are designed to impress and to enhance outdoor living spaces. 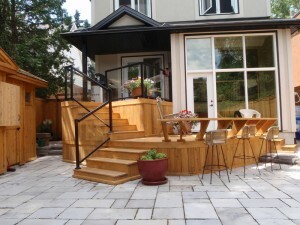 We’ve been in the business of providing beautiful solutions for deck and fencing in Ottawa for more than 10 years and have been providing home and business owners lasting quality, durability, and reliability. Our dedication to customer satisfaction comes second to none and our products undergo rigorous testing before being made available for sale. This guarantees that our customers get nothing less than excellent quality items with price tags that the competition will find tough to match. We offer you the leading brands including Ameristar and more, backed by some of the best warranties. We also want to keep our customers educated, by providing them all the resources they need on our quality products. We offer you a Consumer’s Guide to Decking and Fencing in Ottawa that covers topics such as choosing and designing the right fence and deck for your home. Download your free copy today!